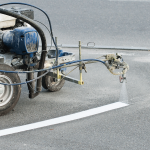 If you’re a commercial property owner, a parking lot with freshly painted, clearly marked lines is almost as good as the smell of a brand new automobile. But that freshly painted look is hard to remember after a long winter of snow and snowplows, when your parking lines look as faded as a ten-year old car. In addition to the pleasure of a new-looking lot, your customers’ convenience and safety depend on the clarity and visibility that a professionally striped parking lot provides. So how do you get that “new car feel” for your old parking lot? 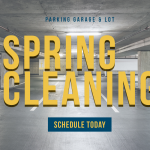 If the answer to any of the above questions is no, it’s time to restore your parking lot to it’s original showroom look. 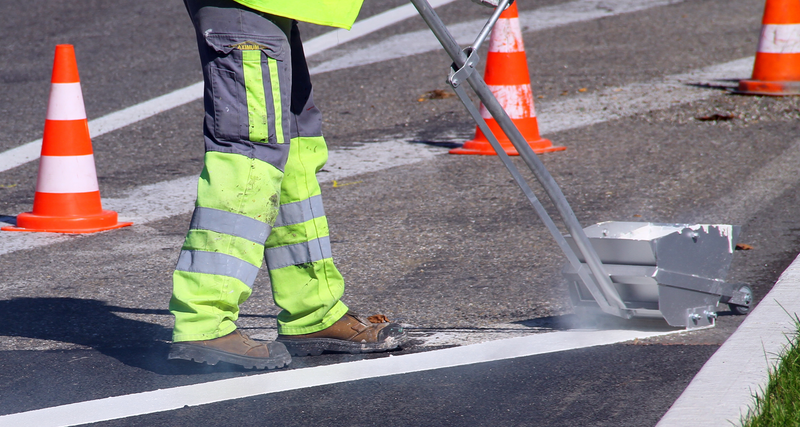 Fresh pavement marking will provide you with clearly marked parking stalls and bright, durable line striping. This means professional quality, crisp lines measured precisely and painted to the required thickness. 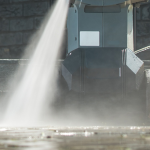 It includes pedestrian walking spaces, directional driving arrows, entrance and exit signs, handicapped parking spaces, loading and unloading areas, and unmistakable fire lane areas. In some instances, such as handicapped spaces and fire lanes, there must also be both marking on the pavement and on upright signs. 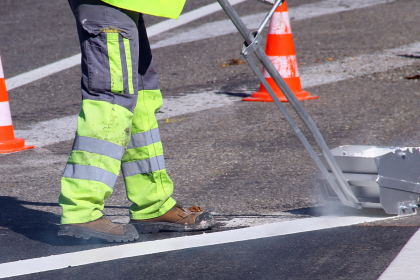 Whether it is brand new asphalt, freshly seal coated, or existing lines that need to be re-painted, we do it all. 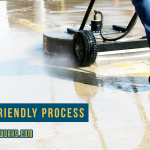 We have the equipment and personnel to complete the work in your off hours so we do not interrupt your operations. 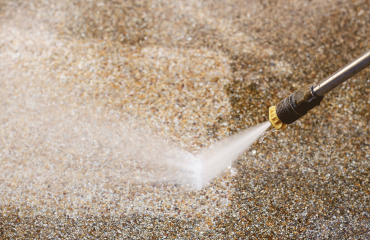 Restoring your parking lot to it’s original shine has never been easier. 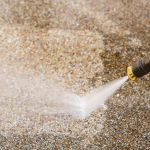 For a complete parking lot remodel, ask about including our pressure washing and pavement sealing services with your parking lot striping job. You’ll be proud of your property once again.